I’m actually writing this while thinking about my photographer son. 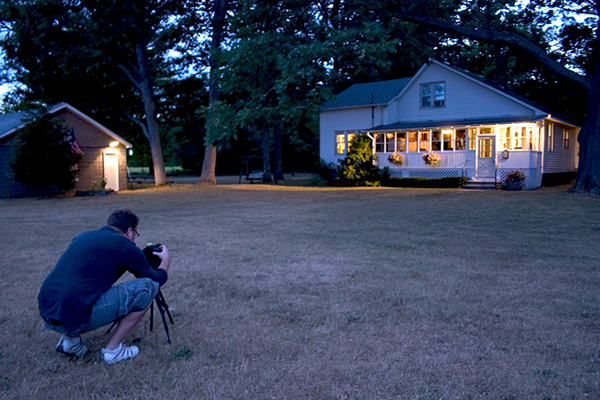 He surprised me years ago by announcing, out of the blue, he wanted to study photography. He’d never shown any particular inclination toward it. He didn’t even own a camera. Thankfully, I encouraged him and his web site now tells it all. He believed in himself. He studied hard and is very good at his craft. A recent event brought my act of encouragement home to me again, and reminded me how important someone’s belief in you can be. You’re a dowdy 47-year-old from Northern England. * “Never been married, never been kissed.” No love in your life. No job. No luck. But you have a gift within you. And you know it. You’ve somehow managed to make your way onto a TV Show called “Britain’s Got Talent” and you are now standing on a national stage. The crowd is hooting with derision. The judge on the left is snickering at you. Simon Cowell is rolling his eyes. Everybody is pretty much certain you’re going to crash and burn in a way that will be hilarious to all. You’ve “never been given a chance before,” and it’s pretty easy for everybody to understand why. You’re an odd-looking lady and they are serving you up to laughing wolves for the sake of the television audience. This is going to be funny. Well, if you’re my new personal hero Susan Boyle, you wrap your hands around the microphone, slowly focus and then sing your song to the rafters. You lift your voice to the heavens. You give a life-defining performance and sing an audience of millions into tears. You hit your high note and bring a lump to the throat of the judges. You bring the audience to their feet as they realize they can’t possibly reach their hands high enough in the sky to applaud you. You inspire a planet. You knew you had the gift within you. You just needed to be given a chance. That’s all you ever wanted and when you got your chance, you shined brighter than any starlet or supermodel ever could. *Many thanks to Wigan Blue, who corrected me. 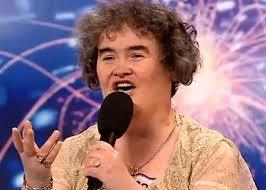 Susan Boyle is from Scotland. This entry was posted on April 20, 2009 at 11:09 pm and is filed under Lifestyle, Non-Fiction Writing, Storytelling. You can follow any responses to this entry through the RSS 2.0 feed. You can leave a response, or trackback from your own site.